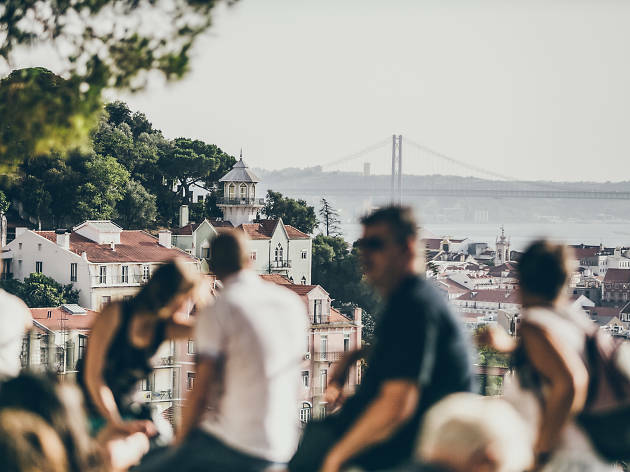 Lisbon has 16 official viewpoints: all of them with amazing views over the city’s rooftops, the most important monuments, the Tejo river, its other margin, and the 25 de Abril bridge. But there are more than the ones City Hall (Câmara Municipal de Lisboa) lists as official: the others are rooftops, terraces, bars and hotels. To have Lisbon at your feet while having a drink is a nice programme, don’t you think so? 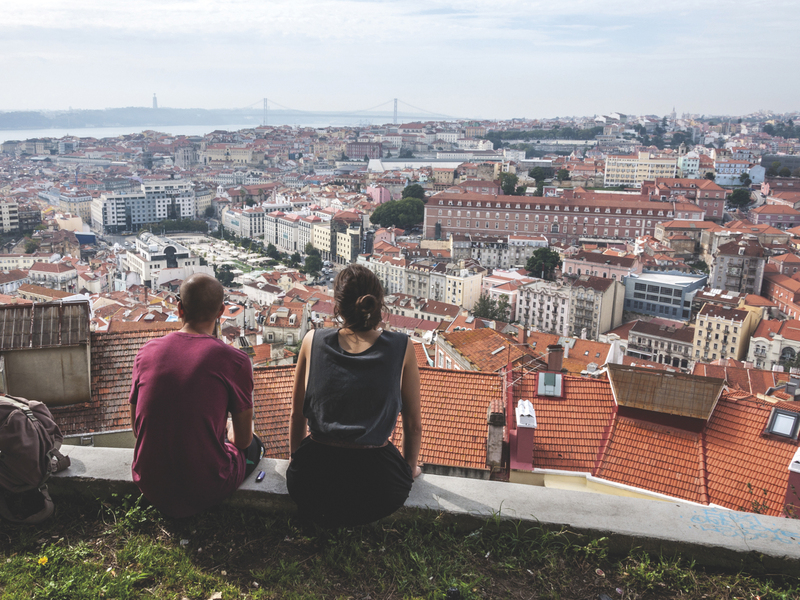 So all you need to do is choose one out of the ten best viewpoints in Lisbon. 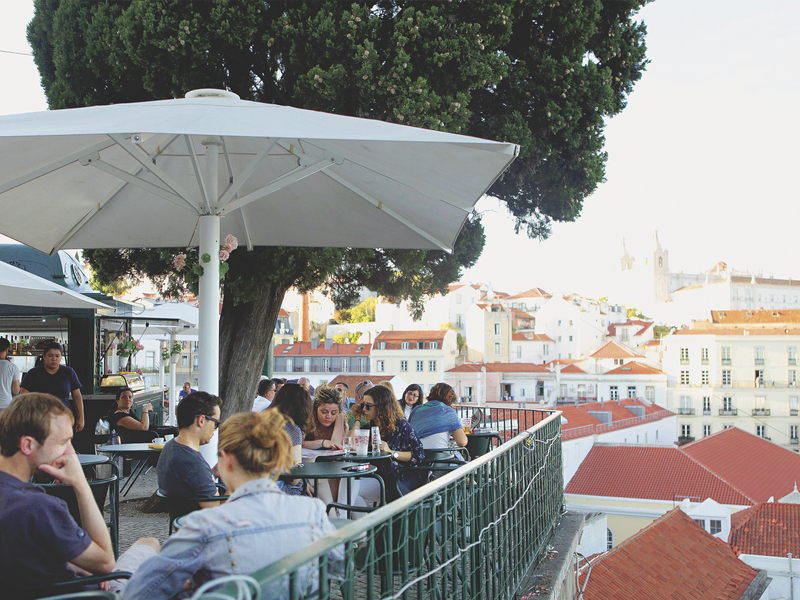 The installation of kiosks on most of Lisbon’s squares has given new life to the city, and particularly benefited the São Pedro de Alcântara viewpoint (real name: Jardim António Nobre). The square has a double dose of kiosks, one at the top, the other at the bottom, which guarantees animation throughout the day – the lower-level kiosk is usually busiest in late afternoons. And of course, there’s the beautiful castle view, enough to keep sensitive souls staring a while. It’s the highest point of Lisbon and it’s better than a city map, with a tile panel that allows you to locate the main monuments. 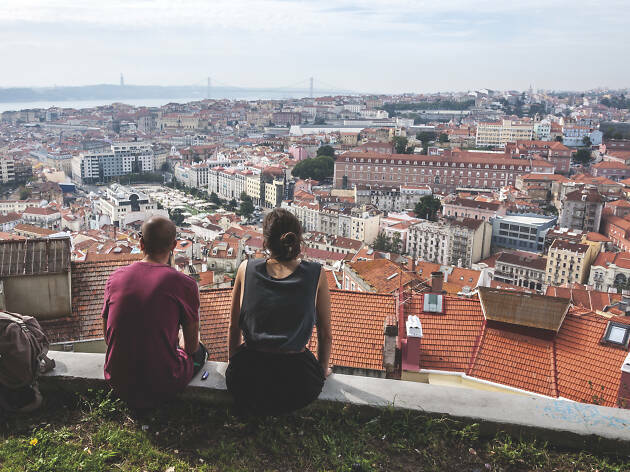 From here, you can see all the way to Lisbon’s downtown up to Avenidas Novas, it’s one of the less visited viewpoints and one of the most romantic. Are you going to have a baby? If you have the chance pray in the chapel: legend says it guarantees tranquil childbirths. 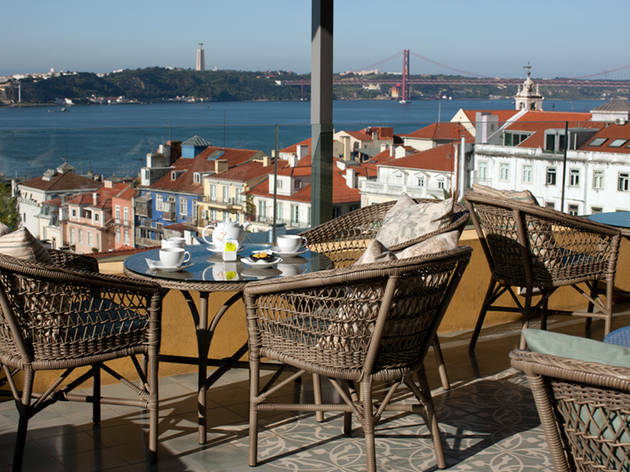 Settle in the puffs and let yourself relax while you gaze upon the Tejo river and at the monuments Alfama has. 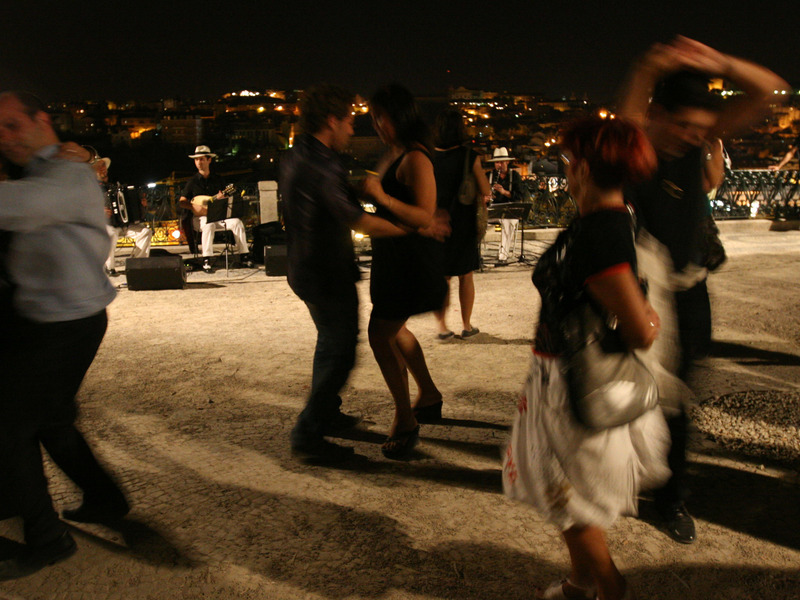 The bar of this viewpoint is part of a building designed by the award winning architects Aires Mateus and on weekends there’s a DJ that puts both lisboetas and tourists dancing around São Vicente de Fora’s statue, Lisbon’s patron. 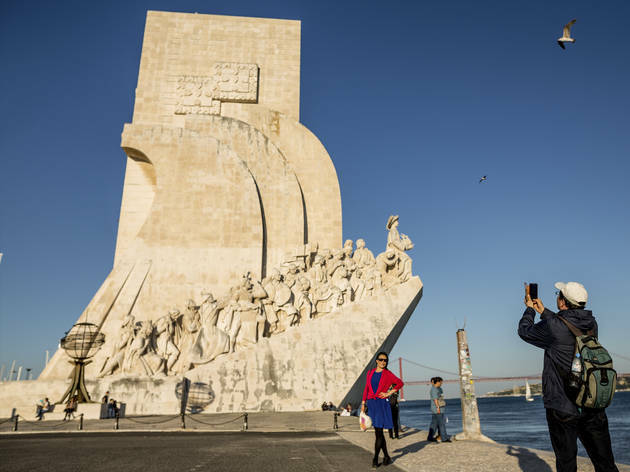 The 56 metres building that pays homage to the Portuguese explorers offers a 360 landscape view of the riverside, allowing us to see the Tejo river, the bridge and what lies on the other side. Up there, somewhere between Oeiras and Alcântara, we manage to find eight monuments. Can you guess which ones? 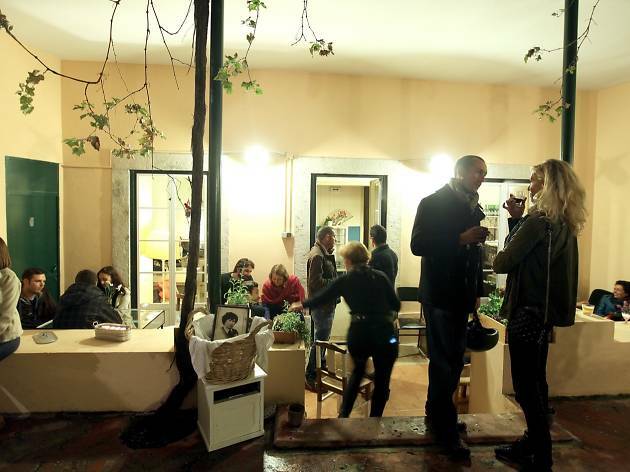 Admissions cost 4€. 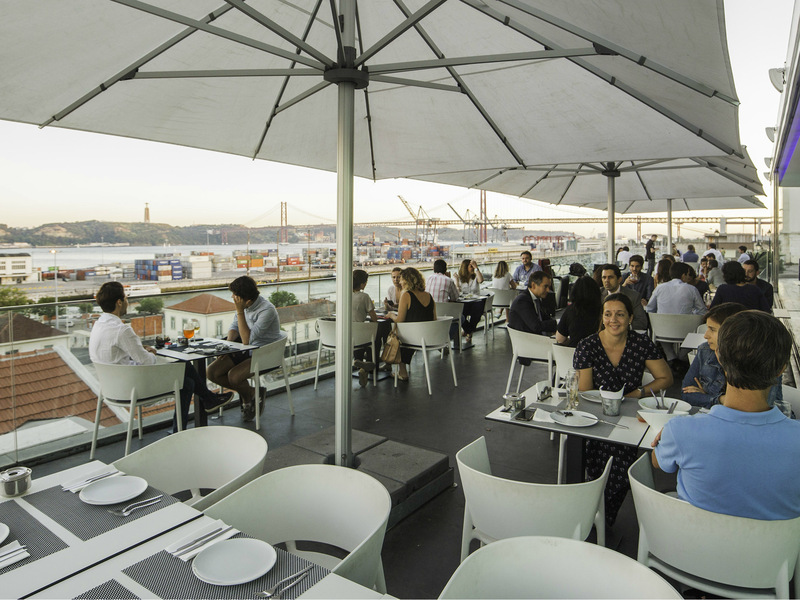 This is one of Lisbon’s meeting points, with a great view and a lot of animation (especially in good weather). It can be a good starting or end point in your exploration of the neighbourhood. 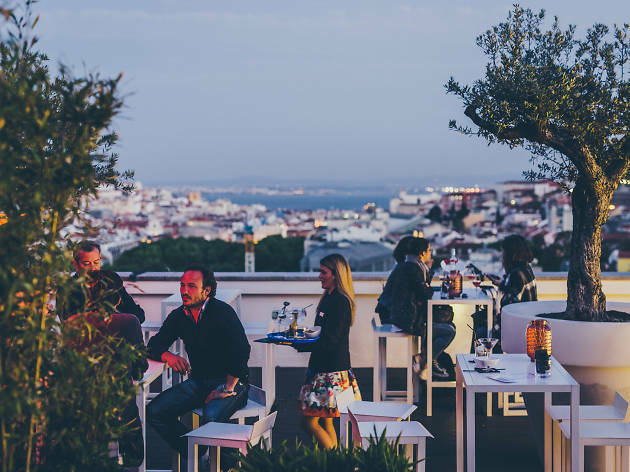 From Vila Berta street to bars Botequim and Damas and education association Voz do Operário, there is no shortage of suggestions for places to bring your foreign friend that just landed in Lisbon. 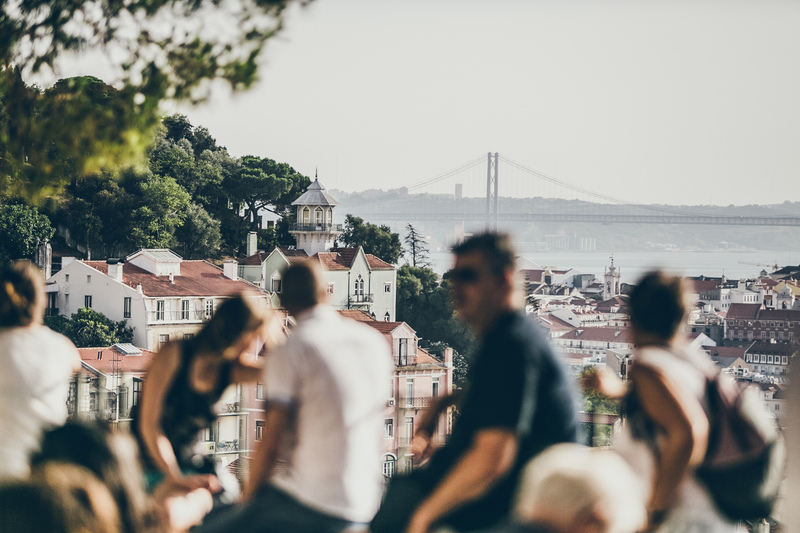 Plus, you get that view to boot: taking in all of Lisbon, from the castle all the way up to the river, Mouraria and baixa pombalina. 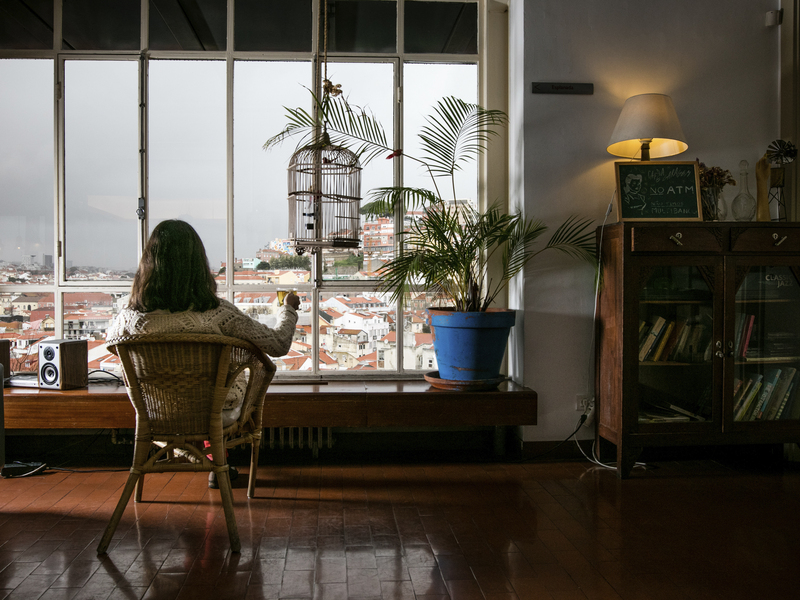 From Graça to Senhora do Monte, from Mouraria to Martim Moniz, the huge viewpoint window from Teatro Taborda’s café shows it all. The landscape, reflected on the huge interior window is only one of the many good reasons to know this location, where many people from Lisbon study and work. There’s a piano, glass lamps of all shapes and sizes and smoked sausage and cheese boards. The balcony of Hotel Tivoli’s ninth floor only opens in the summer and it is much more than a trendy place to have a drink at the end of the day: it is a unique belvedere, with a huge selfie potential. 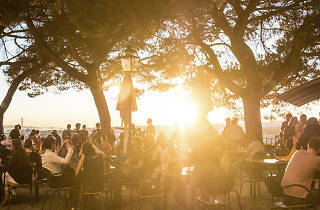 As far as snacks go, the panoramic outdoor café has Portuguese specialties, such as “bolinhas de alheira” (bread and garlic meatballs) with Porto wine, and tenderloin beef with ham in a bolo do caco sandwich (a typical bread from Madeira). Between alleys and backstreets, Memmo Alfama design hotel has one the city’s most appealing rooftops. The red bottom pool is for guests only, but anyone can go up for a drink at the end of the day and see Lisbon’s most ancient and authentic neighbourhood. People say the best gifts come in small packages. Clichés aside, Bairro Alto Hotel’s terrace is pretty much the case, small but dazzling. 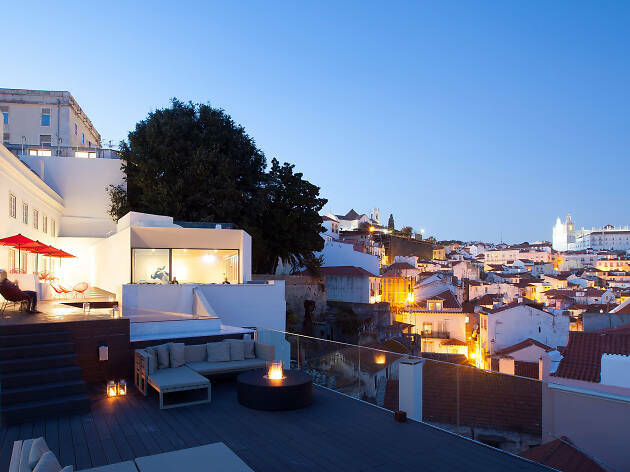 It has a view of the rooftops of all the typical houses, that heap over one another and, up ahead, the river, the 25 de Abril bridge and the National Sanctuary of Christ, the King. Choose a cocktail and don’t leave before you see a ferry boat (known as “cacilheiro”) crossing to the other side of the river. In front of Museu de Arte Antiga, at Janelas Verdes, a glass cube leaning over the Tejo draws in everyone that passes by. 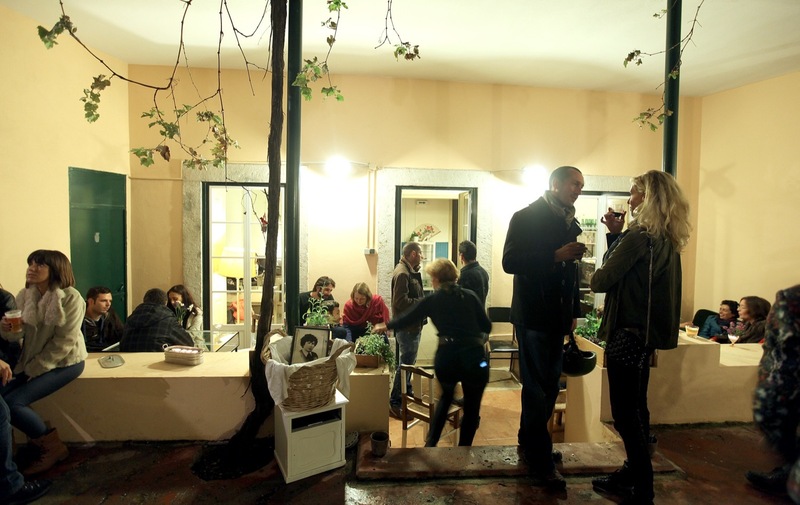 With a full bar, Gonçalo chairs (Portuguese products) and good music it is one of the best outdoor cafés in Lisbon. 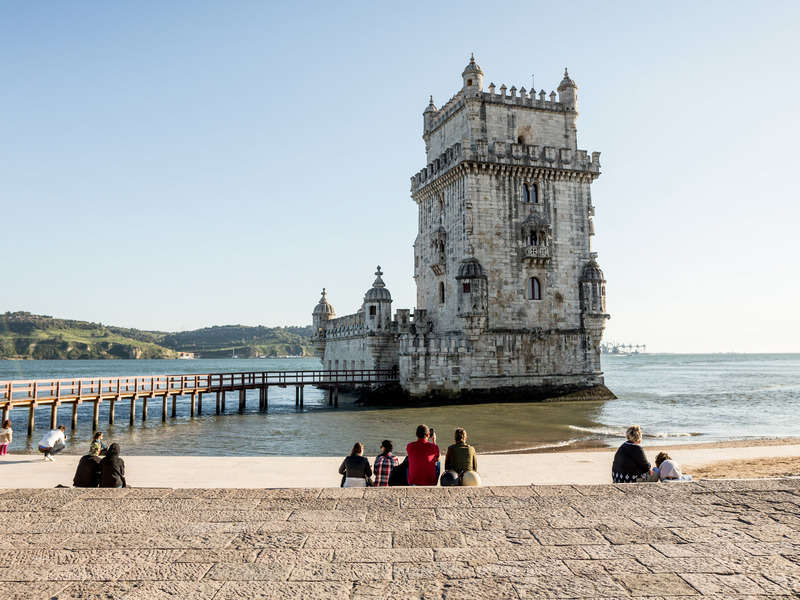 With so many top Lisbon attractions to tick off, your city sightseeing checklist could get very long indeed. That’s why we've put together this list of the city’s essential sights – here you’ll find architectural wonders, spectacular palaces and the best lookout points in Lisbon. 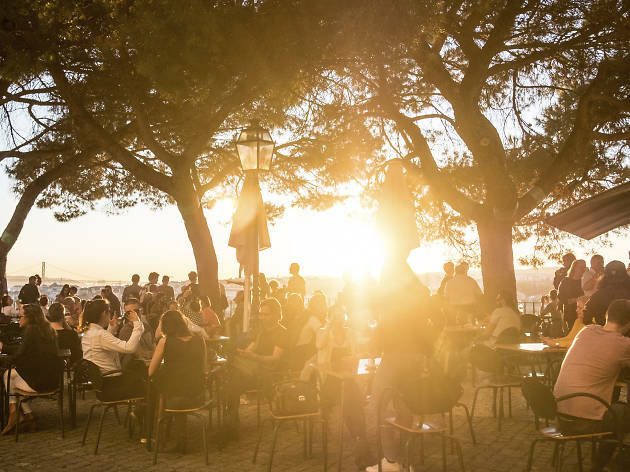 Embarking on an intrepid mission to discover Lisbon's many offerings is thirsty work and, besides the city's wide-range of history and cultural sights, there is a long list of modern, and more traditional, bars where you can replenish any lost fluid.